We have launched a campaign this Christmas, asking people in the public eye to send a card to a Post Pals child and then to ask 2 friends to join in. The idea being those 2 people send a card and ask another 2 friends. Hopefully we can create lots of smiles this way. Thank you for your help creating smiles this Christmas. We are very said to say Sophie R passed away last night with her family by her side. Thank you to everyone who took the time to send post to Sophie and Jack to make them smile. Post Pals is a little different from most children’s charities. A lot do amazing and grand things which create a happy memory or something to look forward to. What we do doesn’t sound that grand on paper, but we provide daily smiles and support which are desperately needed when battling a life threatening illness. Did you know we have made Ruby smile for 1235 days? We made Megan smile for 2920 days? We supported a family through years of cancer treatment and have helped a child for the 1600 days since her siblings death. We supported and helped Brooklyn for 1460 days despite him only turning 6 last week. We have even made Jayde smile for a huge total of 3116 days. We are also different as we aren’t run by paid staff in an office, instead us volunteers run Post Pals from the beds which we are confined to, with a medical team who say we sacrifice too much of our health to help make the kids smile. We really need help to keep creating these daily smiles. We need people to send cheerful post to the children through our site, buy our badges and wrist bands, hold a fundraiser for us, sign up as an assigned writer (assigned a child and you send them a letter every 2 weeks, email info@postpals.co.uk to be assigned), we need help from bloggers to spread the word, and we really need people to tell all their friends and family about Post Pals. 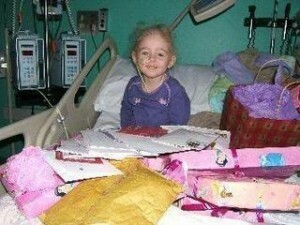 We have been working hard every day for 10 years, even when in hospital, and yet very few people have heard of us. This short video shows how much of a difference we make. Please help us to create precious smiles. Many years ago a little girl called Milly joined Post Pals. She had frequent operations and we sent her cheerful post. 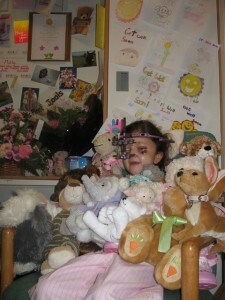 Can you spot Milly amongst the teddies she was sent whilst in Great Ormond Street? 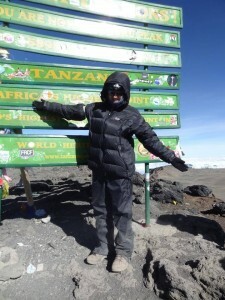 Milly has spent years climbing and triumphing over giant metaphorical mountains, but last week aged just 15, she climbed Kilimanjaro! Despite altitude sickness Milly made it to the top, a staggering 6000 meters high and scattered her sister Alice’s ashes. Alice’s motto was ‘Courage, Grit and Determination’ and those attributes clearly run in the whole family. Congratulations Milly from all of us at Post Pals. 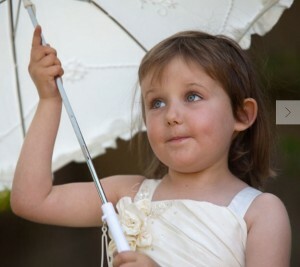 If you would like to send a card to congratulate Milly, the address is on Alice’s page.